Think back to a time when you were in school– was there a certain class you struggled with? Now try to imagine how challenging that class would be if it was taught in a foreign language. For deaf students in mainstream education settings, this situation might describe a typical day at school. To help deaf students receive the educational opportunities they deserve, schools can enlist the services of specially trained Educational Interpreters. At least 83% of deaf/ hard of hearing children in the United States are enrolled in public schools, according to a 1999 US Department of Education report. To help deaf students adapt to mainstream classrooms, some accommodations must be made. Accommodations for deaf students depend on the needs of each individual. Typical accommodations include: closed captioning class materials, offering alternative testing environments, providing a note taker, and supplying an interpreter. As the number of deaf students in mainstream schools has increased, it is more important than ever that educators, parents, and administrators understand the value of these services. Hiring qualified Educational Interpreters is one necessary step to providing communication access for students who use American Sign Language (ASL). Interpreters might be used for lessons, lectures, assemblies, field trips, daily socializing, meetings, tutoring sessions, after school events, and more. 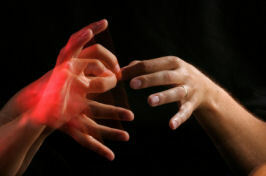 Sign language interpreting is a very diverse field, and not all interpreters are created equal . Since Educational Interpreters assume a number of roles in the classroom, the quality of the interpreters’ work is sure to impact deaf students. 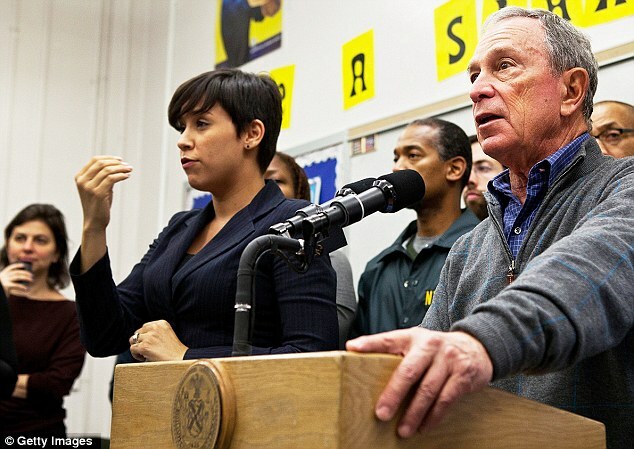 Hiring an inexperienced or inadequate interpreter puts deaf student’s education in jeopardy. A high quality educational interpreter possesses a unique skill set. First and foremost, it is a sign language interpreter’s job to facilitate access to spoken information and conversations. Educational interpreters must have a particularly high level of fluency in both English and ASL. Because each deaf student has different needs, interpreters should be carefully matched with clients by skill and experience. If an interpreter does not have impeccable language skills, they will not be able to provide the quality of service that deaf students are entitled to. Interpreting in a second grade classroom is quite different from interpreting a graduate-level chemistry course! A good interpreter will read the materials, know any special vocabulary terms, and come prepared for every lesson. Communication between the instructor and the interpreter helps to keep things running smoothly. Understanding the content is critical, but understanding the students is equally important. Young children don’t speak, act, or learn the same way adults do. Interpreters must be prepared to work with their consumer– whether it’s a mischievous middle schooler, or a frustrated adult taking his first math class in 20 years. Beyond navigating the nuanced social structure of the classroom, educational interpreters should also be familiar with the workplace culture that exists within schools. They collaborate with educators and staff to foster a positive educational and social experience for deaf students. A qualified interpreter will have a basic understanding of how educational institutions function, and the roles of various school administrators. This allows the interpreter to work most efficiently within the existing framework and provide consumers with a seamless experience. 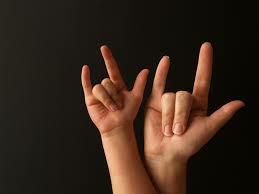 Like teachers, ASL interpreters become influential to their students. The ability to connect with people and empathize helps educational interpreters to succeed. These interpreters should exhibit patience, strong multi-tasking skills, and a willingness to explain new, potentially complex topics. Interpreters who work with young students should be prepared to act as a role model, both socially and in terms of language skills. For example, a deaf child (like any other child) is unlikely to know specific science terminologies before they are taught them in class. Qualified educational interpreters must know how to accurately translate the lesson while providing a sense of context and understanding. While an interpreter is one excellent accommodation for students who use ASL, it is not the only accommodation these students require. Adding multimedia to lectures and classwork has been shown to significantly increase deaf students’ comprehension. Since deaf people are visual learners, including pictures and videos along with written materials really makes a difference. As new technologies emerge, there are an increasing number of ways to supplement classroom learning. Qualified Educational Interpreters recognize the needs of their consumers and assist educators to identify additional resources to help these students excel. Sometimes, Educational Interpreters struggle with the feeling that their services are not “good enough” in a social sense, wishing that they could provide students with a truly equal experience. In schools, particularly K-12, there are a lot of social dynamics at play. Because interpreters are adults, kids might get nervous and behave differently around them. If students are using an interpreter to interact, they might not feel comfortable speaking their mind about certain topics, or saying things they might normally say, such as swear words. Qualified Educational Interpreters engage in continuous professional development and seek ethical solutions to these types of problems. In our hearing world, deaf children are more limited by other people’s perceptions than by their actual deafness. From the time they are diagnosed with hearing loss, these kids and their parents are confronted with all the things they “can’t” do. Educational Interpreters must reinforce a “Yes I Can” attitude by empowering both deaf students and hearing parties to focus on the capabilities of deaf individuals. By working together, parents, teachers, and interpreters can identify the strengths of deaf students, emphasize successes, and present deaf role models. Interpreters can help deaf students and their families connect with the larger Deaf community, this can open the door for children to make deaf friends and gain self-confidence. They can also direct school personnel toward the resources they need to better serve deaf students. When it comes to providing Educational Interpreters, the importance of quality can not be emphasized enough. If inadequate interpreters are provided, the people who suffer the consequences are deaf students. At LC Interpreting Services, all interpreters are screened to determine their skills and experience, then carefully matched with each consumer. Placing interpreters in the correct setting allows them to maximize their skill set and provide the best possible level of service.